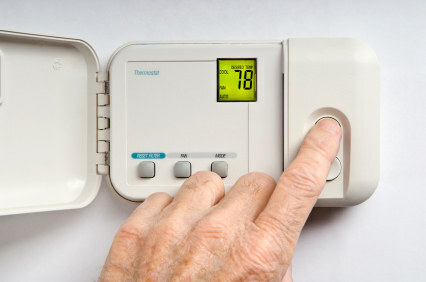 Green Manolo » Lost Weight By Lowering Your Thermostat? This entry was posted on Thursday, February 10th, 2011 at 5:17 am by Christa and is filed under Energy, Green Living, Housing. You can follow any responses to this entry through the RSS 2.0 feed. Both comments and pings are currently closed. I’m not entirely convinced. Its a nice idea, though it doesn’t correlate to my experience at all. I count myself in the Big Girl category and am a grad student in Virginia. Winter doesn’t get all that cold (and I’m grad-student-poor), so if my heater is on at all, its on at no more than 55. My diet is pretty consistently greens and grilled cheese throughout the year. I’ve never really noticed a difference. It would be really awesome though. I find the link between high temperatures and weight loss spurious. If this is in fact true, why is it that all swimmers who train for competitive swimming sports are now trained in pools with water temperatures above 80 degrees F, since it was discovered that pools heated to 76 degrees (the old standard) made it impossible for the swimmers to meet their weight/body fat requirements? Cold water temperatures forced these highly active athletes to pack on fat. The warmer water eliminated their need to pack on subcutaneous fat as a means of protection. As soon as the water temperatures went up, the athletes dropped the weight. Works the same way for other ambient temperatures, in the home. As it does in the world at large. Make an argument for layering on sweaters and conserving energy for heat–that’s all good–and there are a multitude of ways to do this without even feeling it, such as lowering your thermostat at night and when you’re not home, etc. etc. But I’m thinking this “weight loss” connection is so hole ridden it must have been published in The Onion. @aurumgirl I don’t know that I buy it, myself – it’s not as if there aren’t plenty of other things making our weight jump. But there is a difference between ‘brown fat’ and white adipose tissue – brown fat in adults is related not to white fat, but to skeletal muscle, according to Wikipedia. I don’t know if the brown fat – which was the fat the studies were concerned with – would be a noticeable part of a body fat percentage measurement since it only exists in a few small areas of the body (upper chest and neck). My guess is that the fat that the swimmers put on is normal white fat, not brown fat which has been shown to be more metabolically active in cold temps. I prefer chilly rooms, personally. Too bad my building has the heating pumped centrally and I have no control over it… so I tend to leave my windows partially open, even in winter. @Ann I had a roommate in an apartment where heat was free that would keep it pumping all the time. Even at night. It got so I was opening my windows in wintertime just so I could sleep!